John Terry is officially a Spartak Moscow player now…WHAT? Last week on the latest episode of Futbolgrad I said that this is impossible. I honestly couldn’t believe that this could possibly happen. But I’m very happy that I was wrong. The player who captained England, won the Champions League, Europa League, EPL and FA Cup is playing in RPL. And playing for my club…surreal. Here’s a bit of a backstory to help you understand why this transfer happened. Spartak plays the system with two central defenders. On occasion head coach Massimo Carrera plays with three centre-backs but most of the time with just the two. Georgiy Dzhikiya. A very talented and young defender who joined Spartak from Amkar Perm. His progress in the past few years was very impressive. He was supposed to be the main man in Russia’s defence at the World Cup 2018, but an ACL injury forced him to be left out of the squad. He is recovered now and was voted the vice-captain of the club. Ilya Kutepov. A player who ended up being that main man in Russia’s defence at the World Cup. Ilya is the product of Spartak’s academy and the fans saw him play for different youth teams for a while. His debut season was very impressive. Kutepov is very calm for his age, he doesnt panic and plays very efficiently. Of course, he makes mistakes, but its a part of the development of a young player. Even his last season wasn’t too convincing but he impressed Russia’s national coach Stanislav Cherchesov in the preparation for the 2018 World Cup and played brilliantly along with Russia’s legend Sergei Ignashevich. Samuel Gigot. A new French player who joined Spartak before the beginning of the season from Belgium. Gigot impressed right away. 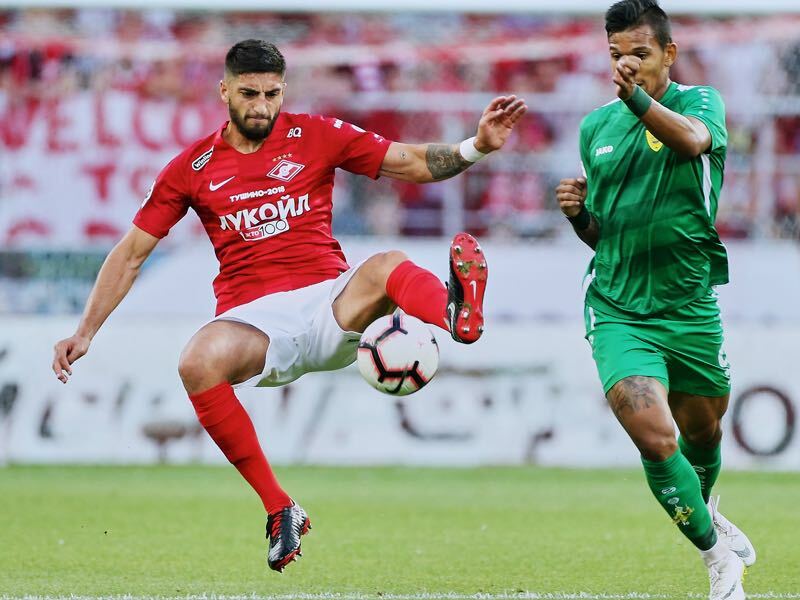 He became the leader of Spartak’s defence and clearly was the best defender in the Russian Premier Liga in the first six matches. Salvatore Bocchetti. An experienced Italian player who has been in a Spartak for a while. In Russia we call players like him a “veteran” and in Italy, they call them “senator”. A player who doesn’t play much, but is a leader and is an integral part of the dressing room. Doesn’t sound that bad, right? Two talented youngsters who play for the national team, one impressive new comer and an experienced veteran who can cover for those three. 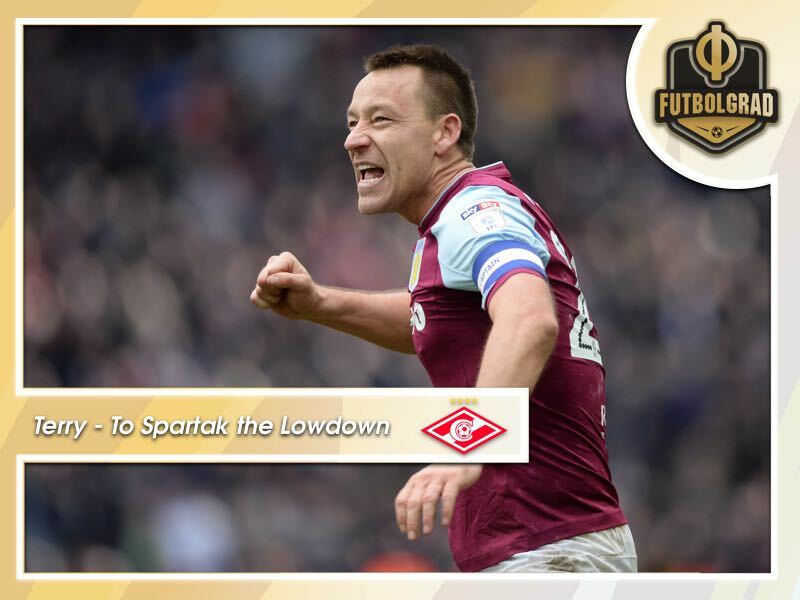 Why do Spartak Moscow need John Terry? So why did John Terry’s transfer became possible. In the last game against Zenit, Samuel Gigot suffered a serious ACL injury and will be out for six months. Ilya Kutepov returned from the World Cup with an injury and last week left to Italy for a surgery and will be out for at least two months. Both injuries happened after the transfer window closed and Massimo Carrera was left with just two central defenders ahead of RPL, Europa League and Russian Cup games. Given that Salvatore Bocchetti is not a young man anymore and Georgiy Dhizkiya just recovered from an ACL injury the situation seemed critical. Spartak’s management was forced to look at the market of free agents. There were different rumours flying around and John Terry’s name came up as he was a free agent at the moment. I didn’t even consider him as an option because I couldn’t even believe the player of such caliber could play in the red-white shirt. But it was reported today that John Terry joined Spartak on a one plus one deal and will be making $1.8 million according to some reports emerging in the English media. To be honest I have no idea what to expect from this transfer. John Terry might become a very important player this season and be the leader of Spartak’s defence. He also might have a not-impressive time in cold Russia and leave the club without any significant achievements. Also, his role is unclear when Gigot and Kutepov will come back from their injuries. Nobody knows how this will play out. But what is inevitable is the fact the the former England captain, winner of Champions League, Europa League, EPL and FA Cup is coming to RPL. Terry’s transfer raises the profile of RPL and adds additional interest to Spartak Moscow. This is a BIG deal and a great transfer for the Moscow club. I am excited. You should be as well.